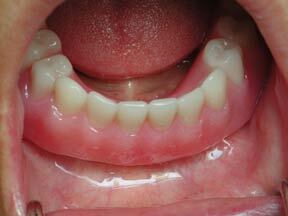 Dental Implantology has been an increasingly popular surgical field since first introduced in 1978. But never have the results been more tangible and predictable than they are today with success rates at around 98%. Titanium implants are root-sized screws that are truly bio-compatible. After a healing phase with the bone they become extremely strong. 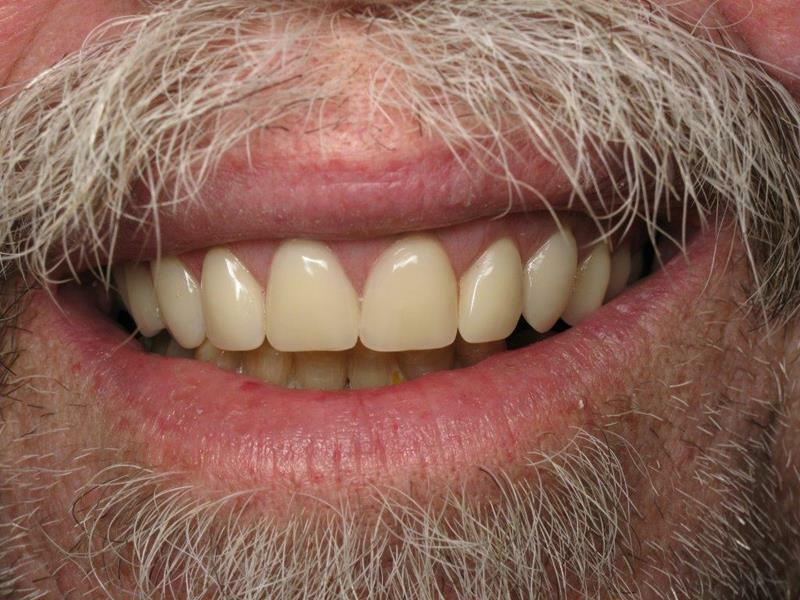 Implants may serve to replace a single tooth or offer stable support for a fixed bridge or fixed denture. 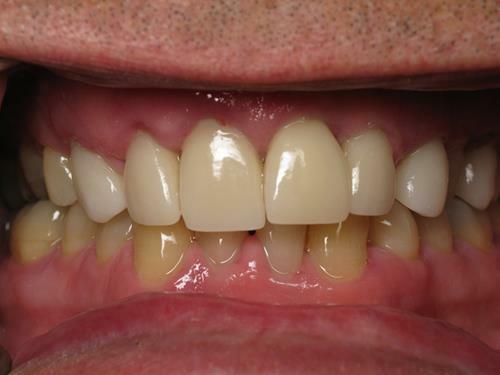 See below to view more information and photos in our ‘before and after’ dental implants section. 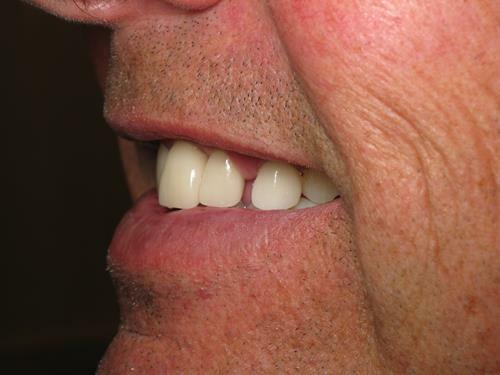 Whether you are looking to replace one tooth or several teeth, incorporating dental implants creates endless options. Implants have improved the quality of life of many of our patients, allowing them greater freedom and comfort. 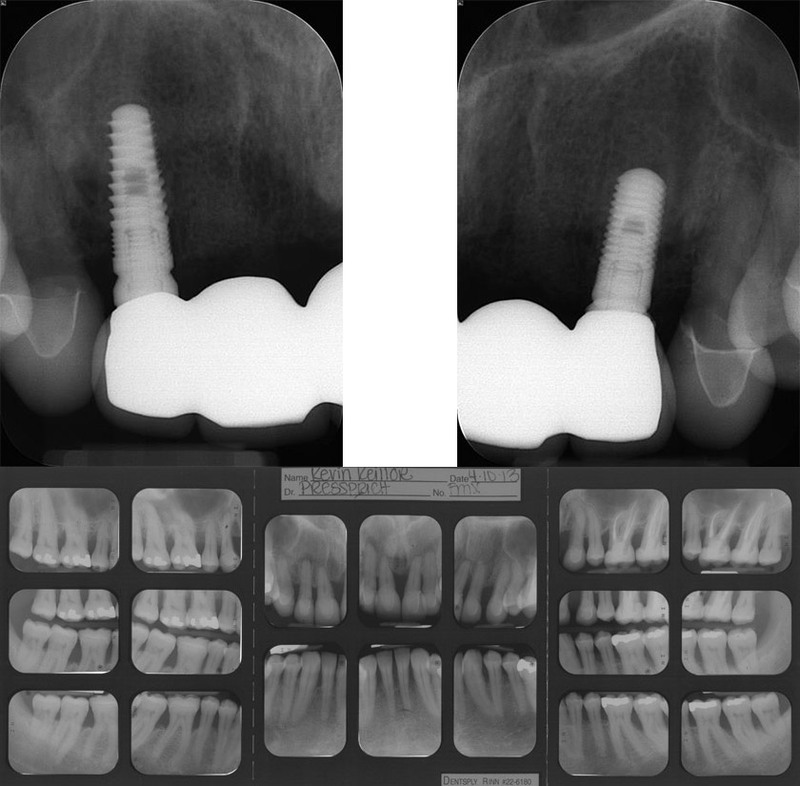 These photos below show a single implant on the model and placed in the mouth later. 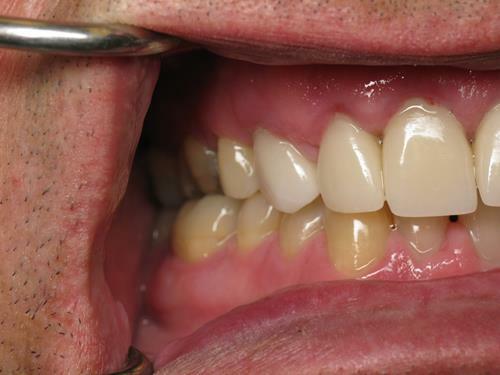 Implant crowns exhibit very healthy surrounding gingiva and make home care much easier than traditional bridges. If placed correctly they can go your entire lifetime. Ken’s case is unfortunately one we see often. 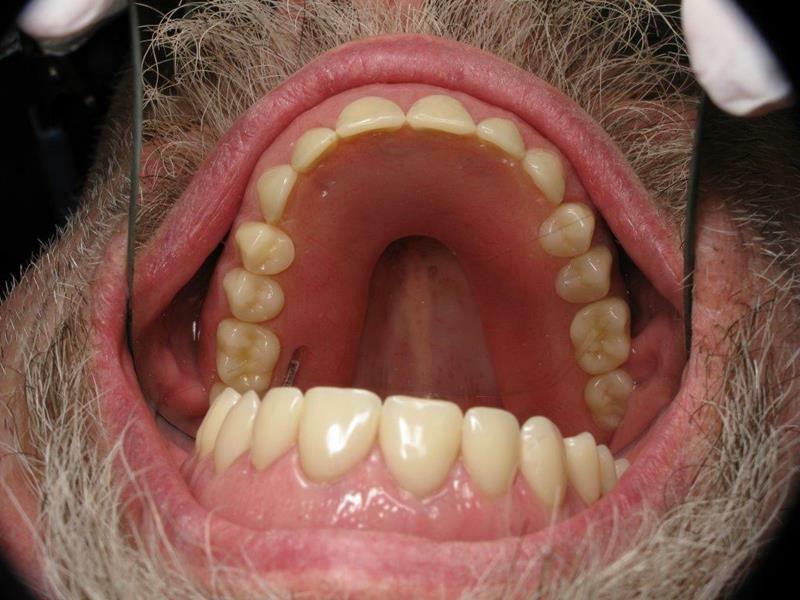 He had been to regular cleanings with his dentist at another office, seemingly taking proper care of his teeth. 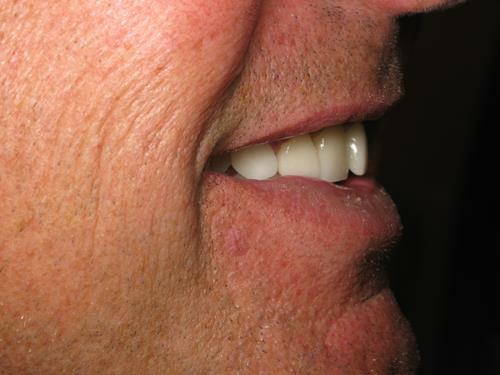 When he came to StudioNINE30, Dr. Matt realized Ken had significant Periodontal Disease. 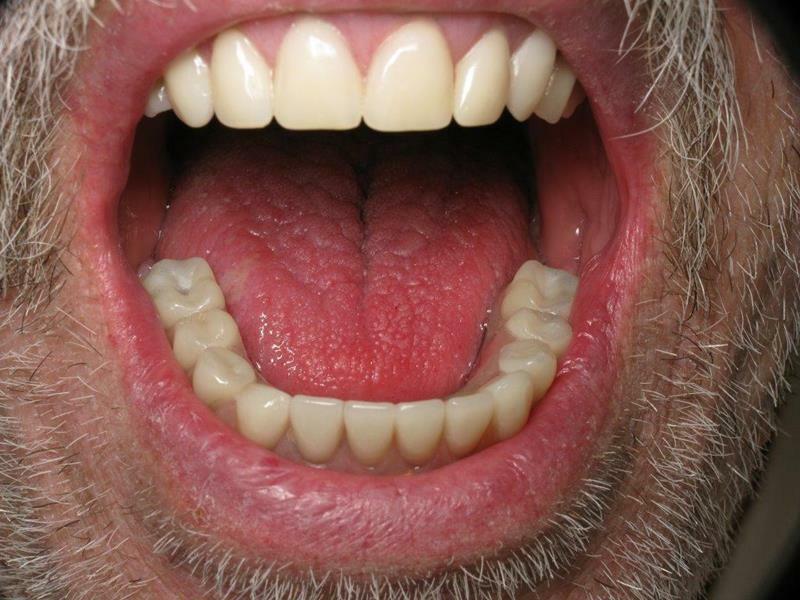 His teeth were moving around, drifting inside his gums. While Ken could have gone to an Oral Surgeon or Periodontist, Dr. Matt possessed all the skills and tools necessary (including use of a 3D printer) to care for KK without him consulting either. 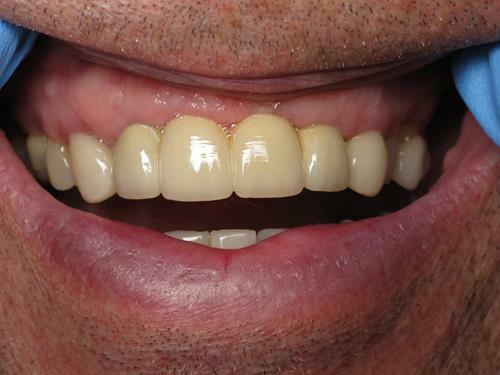 This saved him nearly 2x the cost, and he received Dr. Matt’s excellent in-house care. 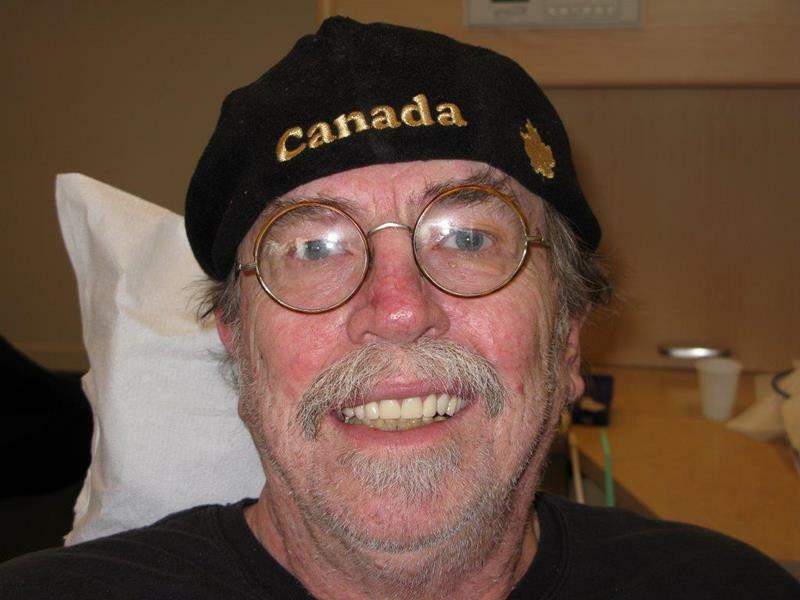 The process took nearly 2 years to complete with the processes involved to graft bone and insert the temporary bridge necessary for Ken’s bones to strengthen and be able to support the implants. My family and I have been a patients of Dr. Matt for nearly 10 years. I have been to a number of dentists throughout the country including four in Bend, I can attest that there is no better family practice dentist than Dr. Matt. 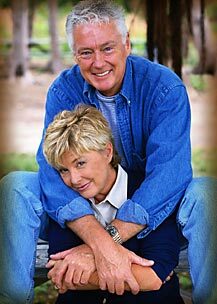 He has done a number of surgical procedures on me including four implants and reconstructive procedures on my granddaughter. The office staff (including Matt) is friendly, personable, and sympathetic to our needs, all of which make that sometimes dreaded visit to the dentist a much more pleasant experience. I would highly recommend StudioNINE30 to anyone needing or looking for a great dental office. 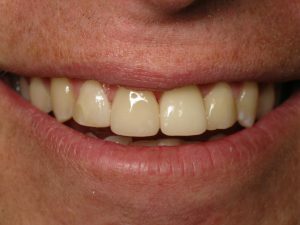 Truly one of the most exciting restorative procedures to come about in recent years is the implant supported denture, otherwise known as a permanent denture. 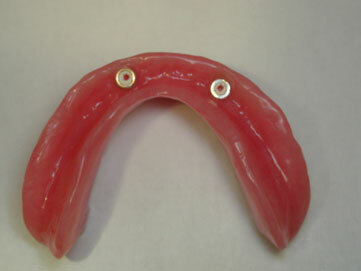 It offers a new level of freedom to full or partial denture wearers. 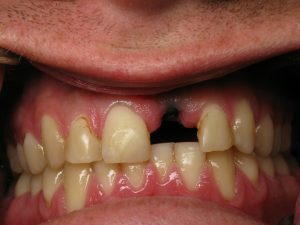 A titanium implant essentially replaces the root of a lost tooth. When it is crowned with a ceramic tooth it offers a safe and highly effective solution to full tooth replacement with results that meet or exceed the quality and feel of the original tooth. FREEDOM to eat your favorite foods again! An implant supported denture is a denture that snaps firmly into place using two or more implants as support. It is very comfortable, easy to remove for cleaning and looks beautiful. 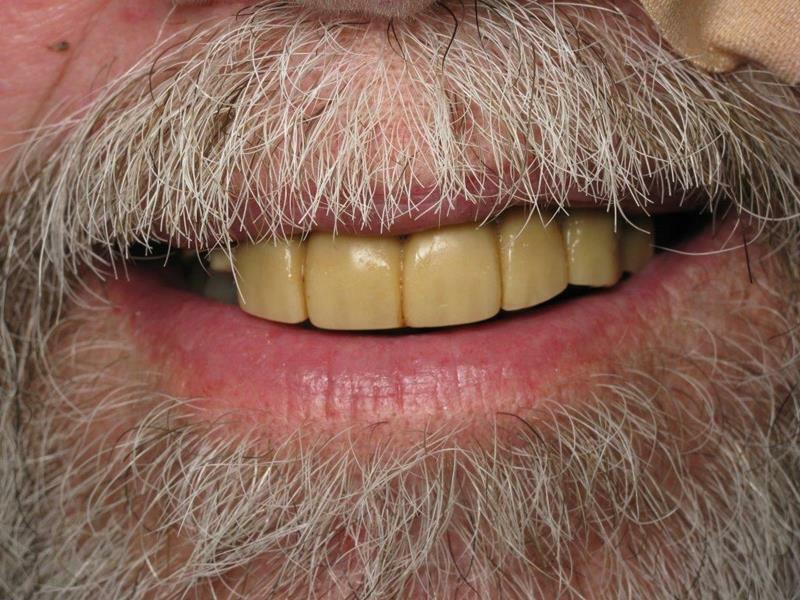 Your permanent denture will provide optimal size, shape, color and fit to blend with your facial characteristics while providing the support needed for proper function. 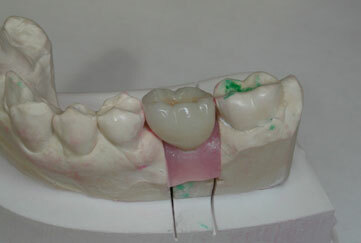 See below to view more information and photos in our ‘before and after’ section. 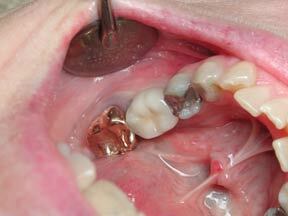 Here you see two implants placed with stud attachments to help secure a full lower denture. 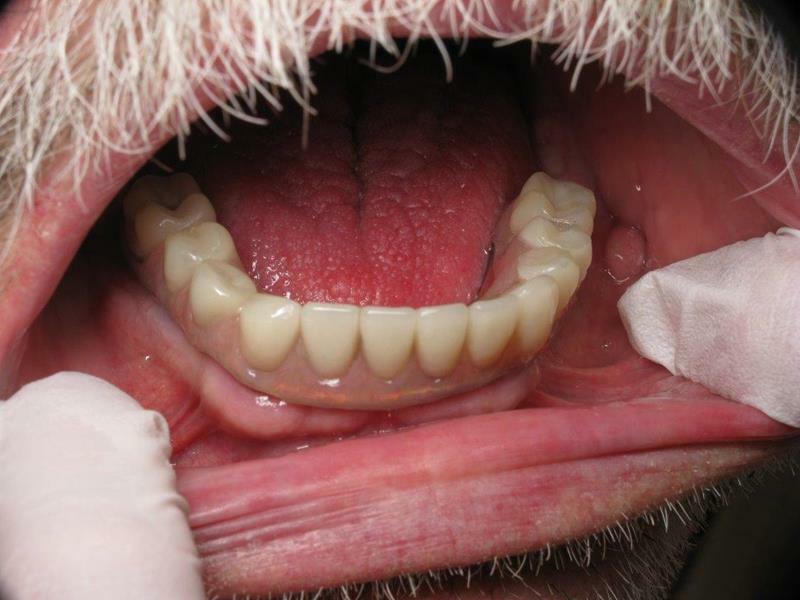 These are extremely helpful for lower dentures that otherwise tend to float around the mouth when chewing and talking, causing sore spots and much embarrassment.